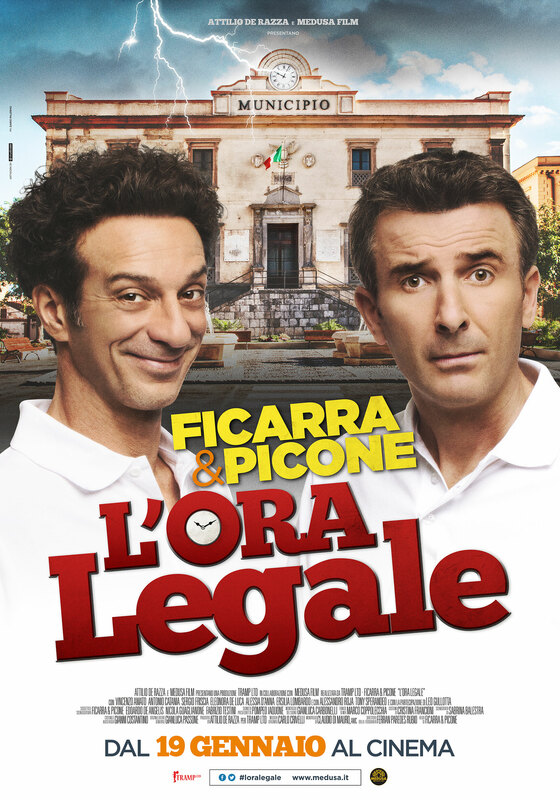 Box-office smash hit comedy It’s the Law is the latest from the genius comedy minds of Ficarra and Picone, a clever and laugh-out-loud satire following the political misadventures of a Sicilian village. In the small Sicilian town of Pietrammare, the moment has arrived to elect a new mayor. For years it has been under the corrupt leadership of Gaetano Patanè (Sperandeo), who’s ready once again to use every trick in the book to keep his position and power. An unlikely opponent comes in the form of the mild-mannered 50-year-old Professor Pierpaolo Natoli (Amato). With no political background, the Professor simply wants to give his 18-year-old daughter, Betty, an alternative to vote for. Against all odds, Pierpaolo wins, and immediately gives start to a new age of legality and respect for the rules in town. But the citizens of the town have become so used to living amid corruption and inefficiency – how are they ever going to cope with this new age of honest leadership and, law and order! It’s the Law boasts an ensemble cast of Italy’s finest comedic talents.